Outdoor learning is nothing new. 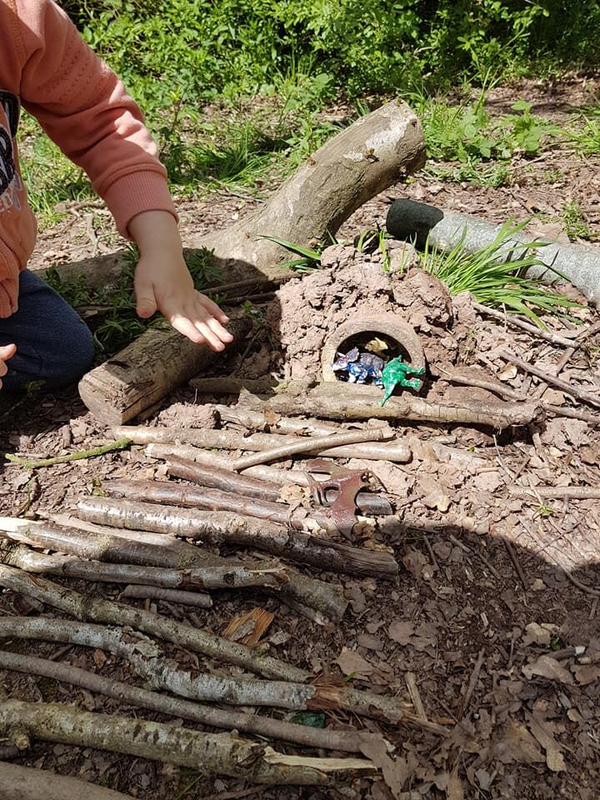 Children have been learning outdoors, using their developing bodies and minds to make sense of the world around them, for thousands of years. However, there has been a decline in such involvement in the last few decades, with children spending more and more time indoors engaged in sedentary, technology-based activities or playing with machine-made toys and games. While there is nothing wrong with these types of activities in moderation, we need to be aware that children’s brains are hardwired to engage with the natural world, and unless they are exposed to such relevant environments on a regular basis, we risk denying them the opportunities they need for optimal brain development. The outdoors is the ultimate enabling environment. 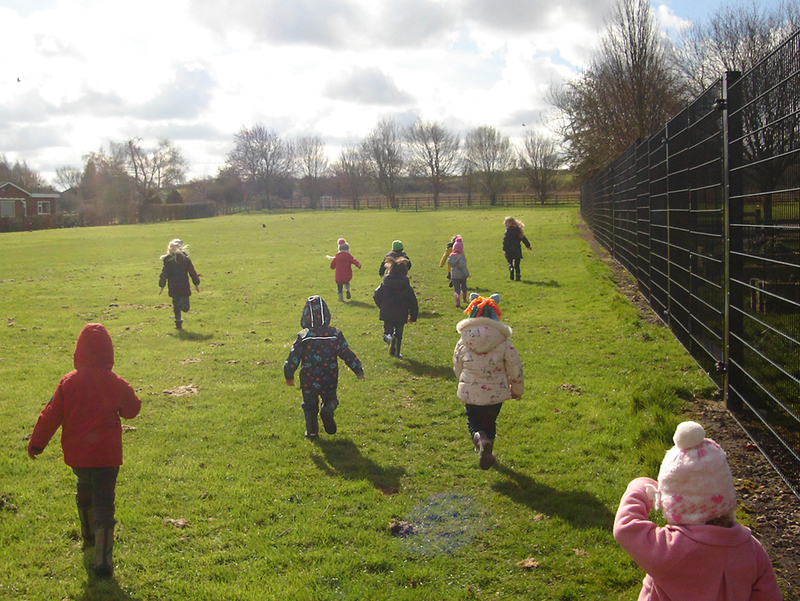 It is full of resources for open-ended play and learning, all subject to changing weather conditions and different seasons. It offers unique challenges and degrees of risk, as well as opportunities for understanding the world, and stimuli for literacy and maths. Once you get started, there are so many ways to cover the Early Years Foundation Stage (EYFS) outdoors! Children’s lack of physical activity is currently a big concern and Ofsted has highlighted it as something that needs to be prioritised in preschool settings. The outdoors is a tremendous place in which to run and climb, balance and swing. The great thing is that the children will be having such fun, they will not even realise they are exercising! Some children need a chance to develop specific skills and help with focusing on a task. 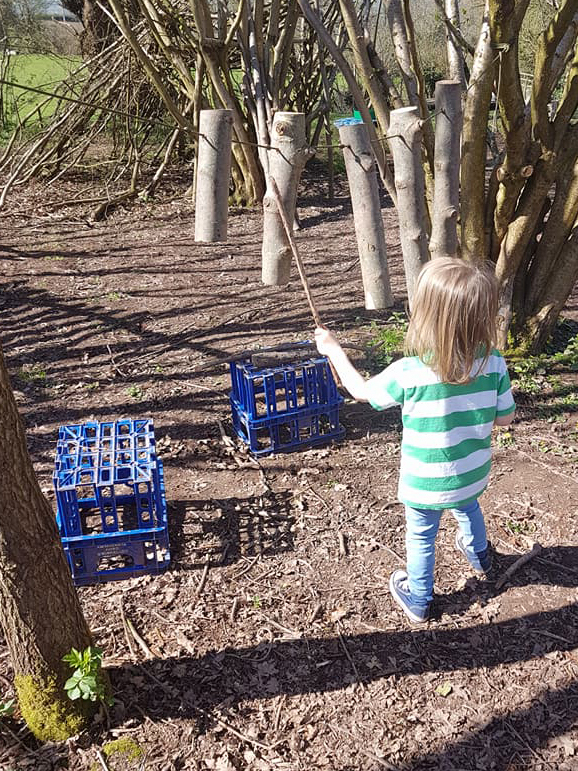 Through purposeful, rewarding outdoor activities, children can extend their concentration span, engage with their learning and start to develop interests that will stay with them for life. All humans are unique and have different skills and intelligences. The outdoor environment offers all children the chance to flourish and do something they are proud of. Outdoor learning lends itself to practical engagement and appropriate risk taking. Children need these opportunities in order to build their confidence, spatial awareness, physical strength and the ability to keep themselves safe in an ever-changing and unpredictable world. Provide children with a range of activities during outdoor sessions, so they can choose what interests them. In this way, the learning they are engaged in has personal relevance and will, therefore, be more rewarding and memorable. When busy outdoors, children tend to work in groups, take turns, share resources and collaborate more. These are all vital life skills that can be extended through outdoor learning. Next time you take a group of children outside, listen to the chatter that goes on; observe the negotiations, compromises and disagreements; and note down the social development taking place. 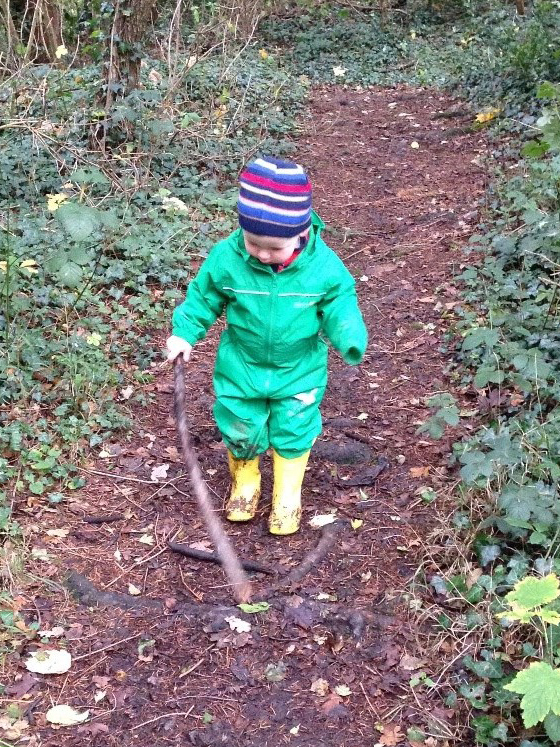 Things do not always work the first time outdoors, so children need to practise resilience. Open-ended tasks provide opportunities for problem solving and creativity. For example, supplying loose parts and small world figures is an excellent starting point for children’s imaginative play. With thanks to Sam Goddard for writing this blog. Sam founded the Rooted Forest School in 2009, and has over 15 years’ experience working with young children. 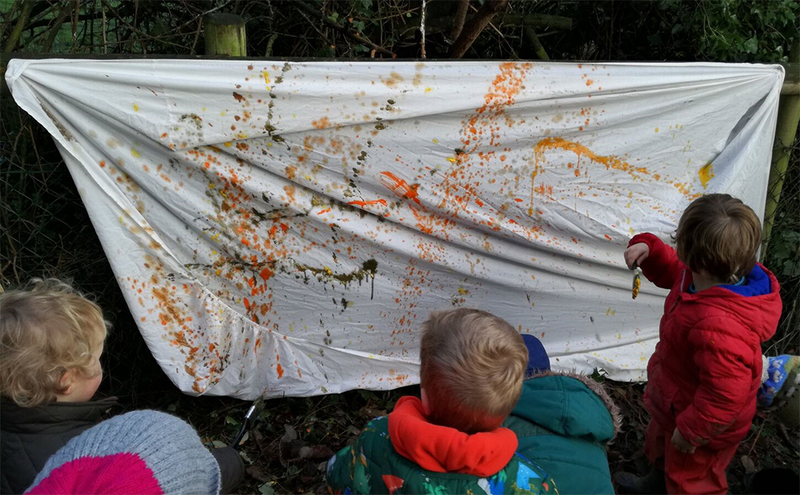 As a Forest School Practitioner, he still loves getting outdoors with the children and is passionate about the benefits Outdoor Learning and Forest School can bring to all children and adults. 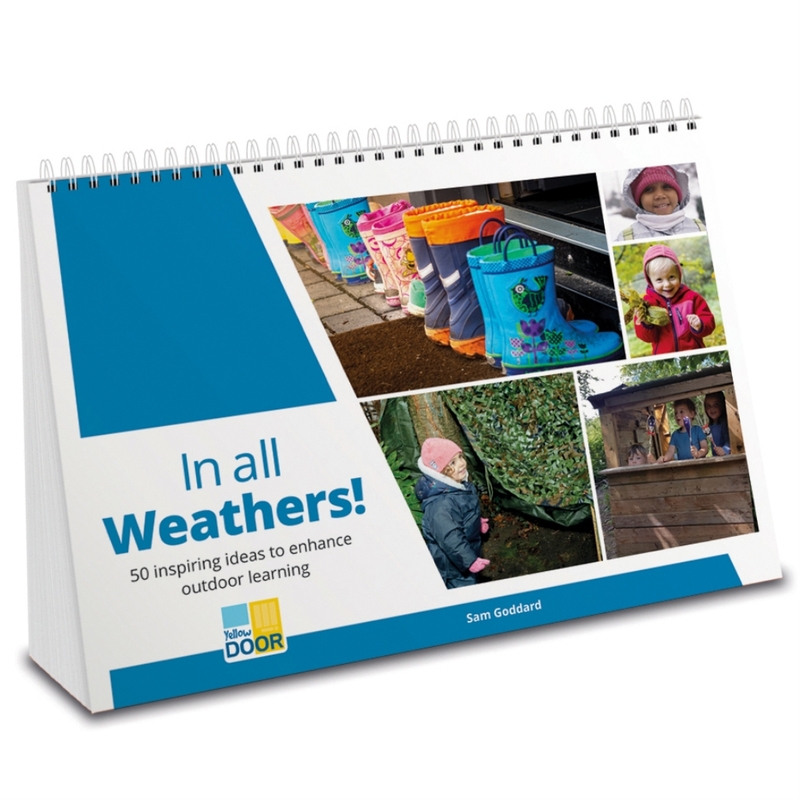 Sam is the author of ‘In All Weathers!’ which contains 50 inspiring ideas to enhance outdoor learning in the EYFS.